Judge Judy is celebrating another judge's ruling that she absolutely deserves every penny of her $47 million salary, and says it's a victory for all women's salaries ... even if ya don't make 8-figures. We got Judy Monday afternoon in Bev Hills, and congratulated her on the legal victory over a talent agent who claimed the enormous salary CBS pays her, screws him out of profits. A judge shot that down, saying she's worth the dough. As usual, Judy cut through all the legalese and summed up the case as a lesson for society: Don't question a woman's paycheck, unless you're gonna scrutinize a man's too! It's way cooler when she says it. 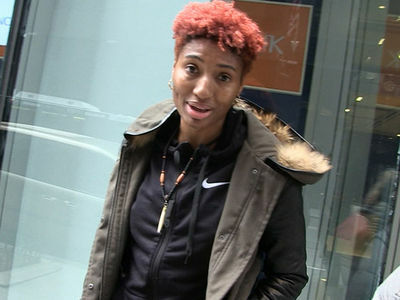 WNBA Superstar Demands Equal Pay As Men, We're Over Playing Overseas!